Hi. So, how about you all head over to my new little piece of the internet... my shiny new blog. Hooray! I wasn't actually intending to launch it yet. But while I was waiting for some things to be fixed I imported all my old posts, recategorized everything, and then realized that if I keep posting over here, I'll have to go through that whole process again. Which was really more than I could take. So while it's not 100% perfect, and I'm still waiting on a few things, let's just forget perfection and head over there from now on. It will be fun, I promise. 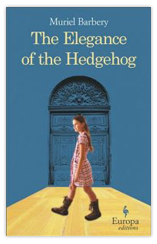 And if you most loveliest readers who actually link to me wouldn't mind, could you update your blogroll with my new URL? Same goes for you all who use google reader and such. I think you probably have to update that as well. Almost forgot, if you want to leave a comment, perhaps do it on the new site because otherwise it will forever live on old blog, not new blog. And that's no good. Hi Hi. Taking a break this week from posting. 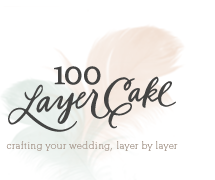 We're desperately trying to launch 100 Layer Cake's new site and I kind of need to focus on that at the moment. You can have this photo of Dashiell by Modern Kids Photo at the Heath Craft Bazaar to tide you over. Because I don't have anything else to post and I obviously think it's darling. Pls pls understand? And come back next week. Trolling Etsy never ends well. Yesterday I got lost and came up with a few nice things I thought I might share. And Miniature Rhino now makes constellations! How cute. and rustic yellow earthenware. I would love this for mixing things. would make such a pretty vessel for flowers at a party. Makes such a pretty display for air plants, doesn't it? On the right wall, in the right grouping, this would look excellent. pillows and table runners. Mmm. Table runner. I could go on. And on. Forever. Happy weekend. Maybe it will be fall by Monday? A few mornings ago, Dashiell and I were walking back from Peets after a run and I stopped to ask one of our neighbors about her tomatoes. We live in a neighborhood that was for a long time a little Japanese community, where everyone has fruit trees and vegetable gardens in their backyards. One of the older, original residents grows tomatoes in her front planter and I've been watching them all summer. She DOESN'T sucker her tomatoes as she goes. And of course I've been thinking, well, how can hers be any good??? But then Tuesday she was out there raking up the stems and leaves she'd just removed, now that her plants are huge and bearing fruit. I had to ask. She's clearly been doing this for decades and must know something the rest of us don't. So she says that she pulls off all the extra branches and leaves after the plants have fruited. AND she picks the tomatoes when they're green and lets them ripen inside the house. She sent me along with a bag full to try. They were delicious. I had one on a bagel in the morning and for dinner we had caprese (of course) and a raw zucchini salad with tomatoes and pinenuts. I'm thinking of trying the indoor ripening. Seems like it would take the threat of mealiness out of the equation, since they're not getting any water while they ripen? I love relying on old pros for advice. And they're always so eager to share. Next year. Next year my tomatoes will be stupendous. So we're going to Costa Rica in February for a dear dear friend's wedding. Yay! International travel! Very exciting. The wedding is in Manuel Antonio, where I've actually spent a little time before, so during the week before the wedding we'd like to rent a house somewhere else and just relax on the beach as a family. Our current, very loose plans are to spend that week in Montezuma. Has anyone been there? It's supposed to be a nice little hippie/surf/yoga town that meets all of our requirements. Ie. houses for rent, a beach, an organic cafe and plenty of Imperial beer. Bonus points for hikes to waterfalls close by. And perhaps most importantly, it's only a few hours from San Jose. We're trying to avoid long days in the car, especially because Costa Rican roads aren't the most reliable. From there it's only 3 or so more hours down to Manuel Antonio, which is definitely doable. So what I'm asking is, do any of your have 1) other recommendations for towns that also meet our criteria and/or 2) if you've been to Montezuma do you have any recs if we do end up staying there? An excellent 2 bedroom house to rent would be an especially good tip. You guys always seem to come up with good advice. It seems absolutely ludicrous to be posting a recipe for bean soup at the moment. It is SWELTERING in LA. It was 101 at my house yesterday, which is less than a mile from the ocean. And today it's a lower temperature, but as humid as an orchid greenhouse. I would no more eat soup than put on a fur coat and run laps around an asphalt parking lot. But I've been meaning to post this forever and I'm aware that some places in the country are actually experiencing fall and cooler weather and maybe even soup. I made this recipe up from the top of a take away container from the Zinc Cafe. It was delicious when we had their version in May and it was equally delicious when I made it last month at home. I added kale, because everything is better with kale, but other than that I just followed the ingredients listed on the lid. 1-3 bunches tuscan kale, de-ribbed and blanced in salted water for a few minutes and drained. Beans: after soaking overnight, bring to a boil and then simmer until soft, about 1 1/2 hours. Once the beans are done, add 1 T of salt so the broth and beans taste delicious on their own. (Do not drain or discard broth). Cook onions and garlic in olive oil over medium heat with a pinch of salt until soft. Add rosemary, thyme, and oregano (all chopped however you like). Then add carrots and cook until mixture is soft and tastes good. Add salt and pepper if necessary (as Alice Waters always instructs) so the mixture tastes good as you go. When aromatics are tasty, add tomatoes and juice. It is my personal opinion that peeling, seeding and chopping tomatoes is basically kitchen heroics, and not altogether necessary. But it does make for a prettier, unseedy soup. And it's really not that bad. Finally add a pinch of chili flakes. Cook until well mixed. Add cooked beans and enough broth to make a good soup. If you don't have enough broth, add more water. Bring to a boil. Turn heat down and simmer. Stir in kale. Taste soup. Add salt and pepper if necessary and garnish with parmesan when serving. This is even better the next day, though you may have to add a bit more liquid after it has soaked in the refrigerator over night. I decided to skip the vegetable broth and instead use the bean cooking liquid, but you could make stock first if you're so inclined. Those of you in So. Cal, tuck this away for December when it's cooler out. I promise it is delicious. I had the most fun arranging flowers for our table. And because I'm a week behind, I haven't even posted about the Heath LA Craft Bazaar from last weekend. It was great too. So many lovely things, including tiles and little wooden toys and Matteo linens for practically a song. And Krank Press, who I love. Just when I was giving in to the pretty light of fall, (and beets and squash at the market), it's super summer all of a sudden again. Or for the first time all year, actually. AND, a birth center opened up literally in our neighborhood. Isn't that crazy? We loved the UCLA midwives, but I'm definitely curious what the Sanctuary Birth Center has to offer for our next babe. It's going to be an amazing resource for families around West LA. Very very exciting. But here's my question: What does a birth center offer that a home birth doesn't? More this week, for sure. So, ultimate mommy cliche coming... it goes soooooo fast. I was anticipating the 6 month mark so much, because it seemed like a huge milestone somehow. That he would sleep and be extra cute and all sorts of things. And he is and does and miraculously started taking a bottle among other things. But then I sort of imagined that things would pause for a while. That he would stay 6 months for a bit so we could just take it all in. Turns out no. He's 7 months today. And I'm kind of freaking out. He likes rolling in the grass and feeling things with his fingers and chewing on sticks. Oh and starting two days ago, he crawls. Luckily he's still a little wobbly and not very fast, but things are changing around our house. He's discovered he can go where he wants (even if it takes a while) and he can get into everything. He especially likes baby's breath. Turns out it's excellent baby entertainment. The grabbing and ripping and then attempting to eat the little flowers. Moms, listen here. Go as fast as humanly possibly to MilkShop and purchase enough C&C California tees to last through your baby's first 3-4 years. They are the PERFECT t-shirt. Super soft, great colors and they're nice and long so you don't have to worry about bare bellies always creeping out. I bought 6 last week and I think I'm going in for my second round. They're $5 each right now, which is literally cheaper than they'd be used at a consignment store. BTW, my baby is officially better dressed than I am. He has new designer sportswear and I have spitty old rags. But these are the sacrifices we make, aren't they? You can never truly understand how much your parents love you until you have a child of your own. My appreciation for the job of parenthood (quite obviously) has grown one thousand fold over the last six months. Sometimes I can almost feel my heart breaking for my parents when I think about what it must have been like raising my brother and I. Not that we were bad. We were probably average in terms of bad vs. goodness, but just the sheer emotion that goes into practically everything you do for your children must have been exhausting, exhilarating, and at times heart-wrenching. Every time we fought or bumped our heads or went off to camp or even to a friend's house for the night, I'm sure a little piece of their hearts went with us. And I sort of understood that in an intellectual way, but not in the entirely raw way I understand it now. It's just a different kind of love, that I wouldn't trade for anything in whole wide universe. This weekend I will be recovering from a cold, which I caught from my baby. Thank you baby. I will take anything you want to give me.